Note that it you don't have a Lua tab on your plugins panel, it's likely because you didn't install the optional Lua scripting plugins. 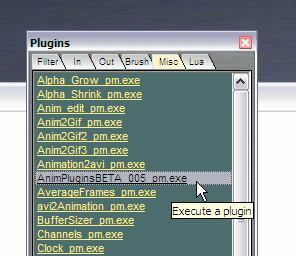 Select the Miscellaneous plugins (Misc) tab. 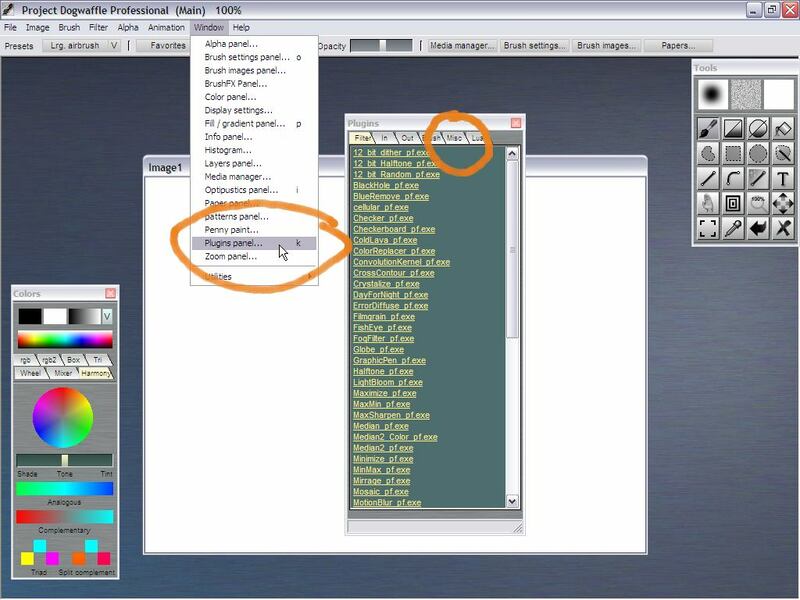 Find the name of your version of Paul Wyskomsky's animation plugins. In this example, we used a time-limited Beta 5. 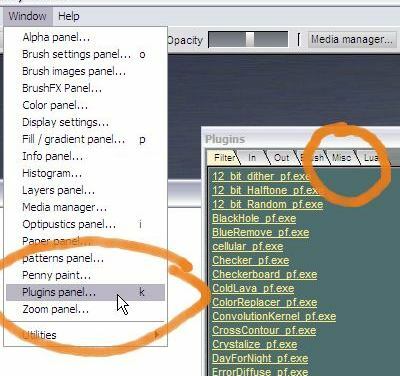 Double-click the plugin to launch it. 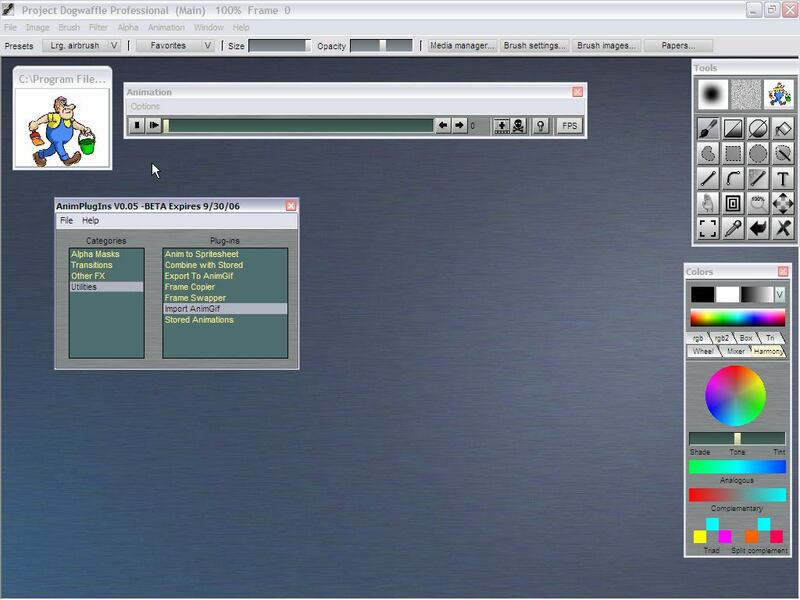 To start, load an animation, perhaps as an image sequence from the Animation of PD Pro, or from an AVI file. 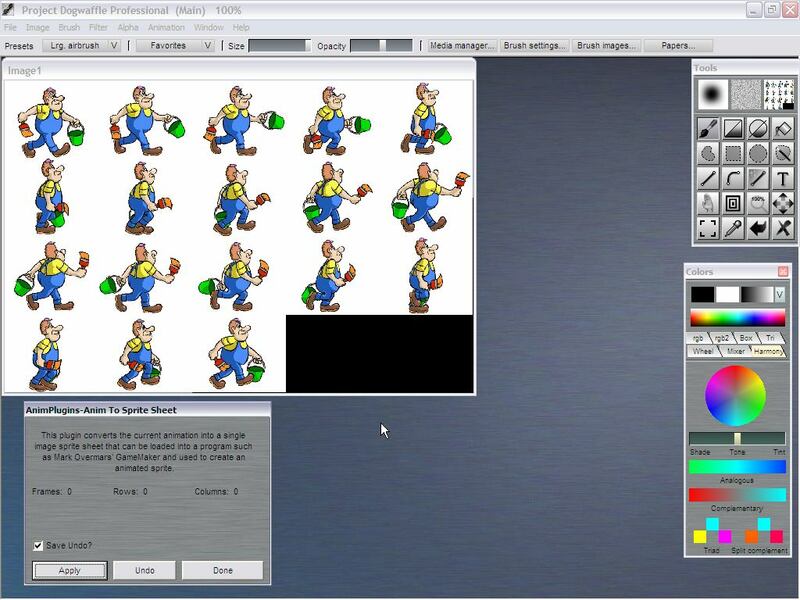 Or, since we've just launched Paul's plugin, let's use it to load an animated Gif into PD Pro. 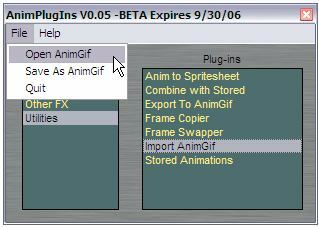 You can do this from the File menu in the plugin, or you can find the Import AnimGif option in the Utilities category. 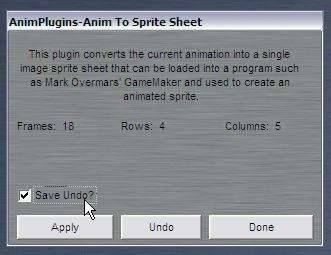 PD Pro will show the Animation toolbar after you load an animation, whether from AVI, image sequence or animaged Gif as in this example. 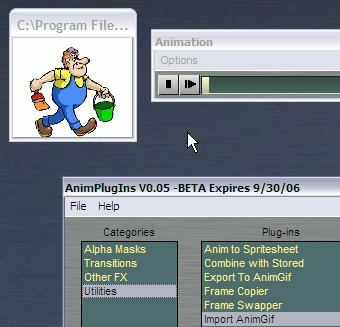 Use the Options menu of the Animation toolbar to display the Filmstrip. When you're at the right-most position, the last frame, notice the frame number: Frame 17 in this case. 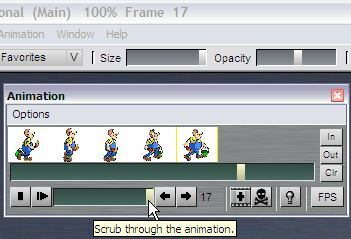 With that we determine that there are 18 frames in this animation. Use the 'Save Undo?' option. This will easily fit into a sprite sheet of a 20-frame case, i.e. a 5x4 layout: 5 columns and 4 rows. A few sprites (two) will be left unused since we don't have 20 frames, we have ust 18. Click 'Apply' and youre done. The frames of the animation have been extracted into a single, large sheet. That's it, the animation is gone, even though the animation toolbar might still be visible. (close it). The frames are all showing neatly in the single image which you can now save to Tiff, BMP, Targa or whatever image format you need for use in Gamemaker, ParticleGen or other tools for your game development. This can also be used as a technique to assemble multiple images into a picture which you can then use in other popular image and paint tools that support image hoses or tubes. 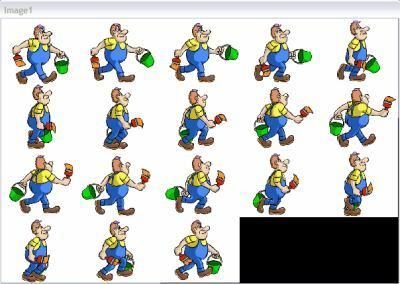 In the next part, we'll do the oposite: extract the smaller frames from the large Sprite Sheet back into an animation, by way of the custom brush system.